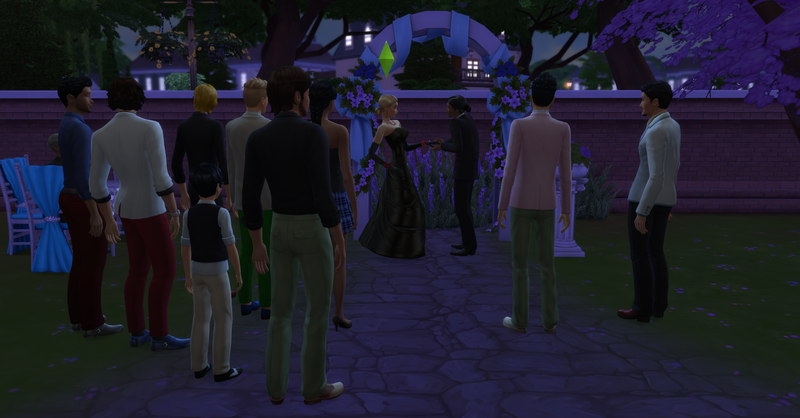 Later the same night is the wedding ceremony. Odette takes a moment to admire the glittering rock again at the ceremony. 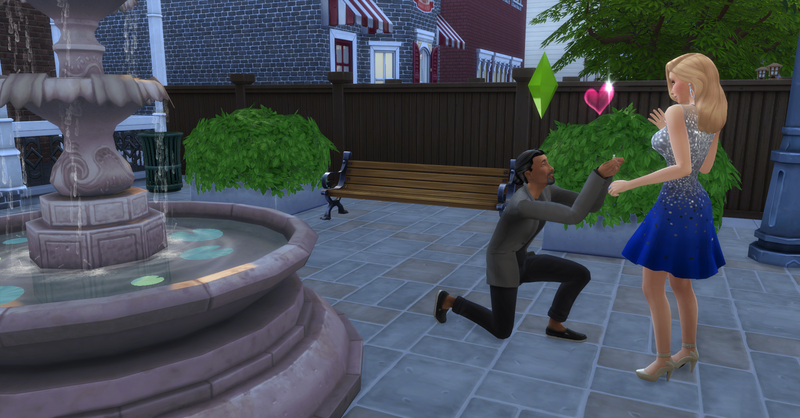 And they seal the marriage with a kiss, Brennen doesn’t realize that it is a kiss of death, not love. They cut the cake and Brennen shoves his piece in her face! When the get home from the wedding they immediately try for a baby together. Brennen is showing off his muscles and flirty alien glow! 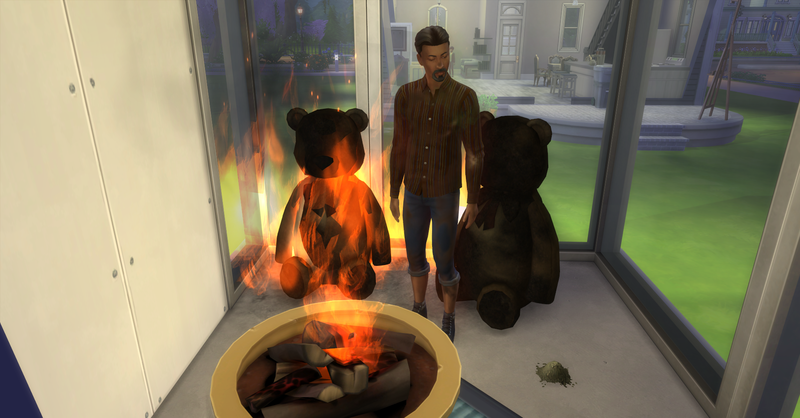 The next morning Odette takes a pregnancy test, which is positive and shared the news with Brennen, who is very excited to have a baby of his own! 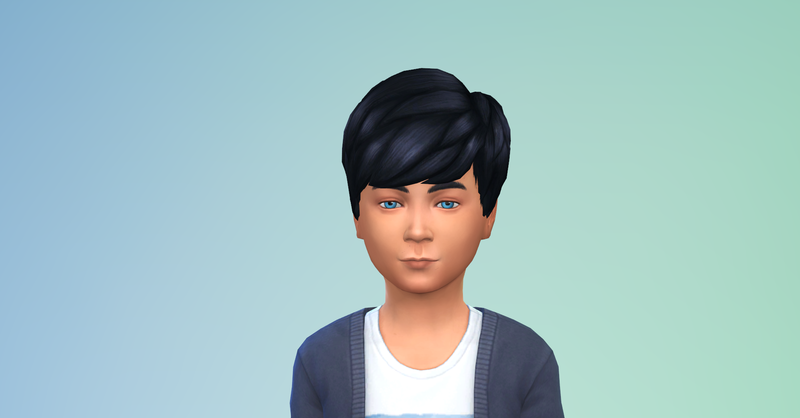 Ulises has aged up from a baby and is looking more and more like his father (except for the blue eyes), his trait is genius and his aspiration is Whiz Kid. 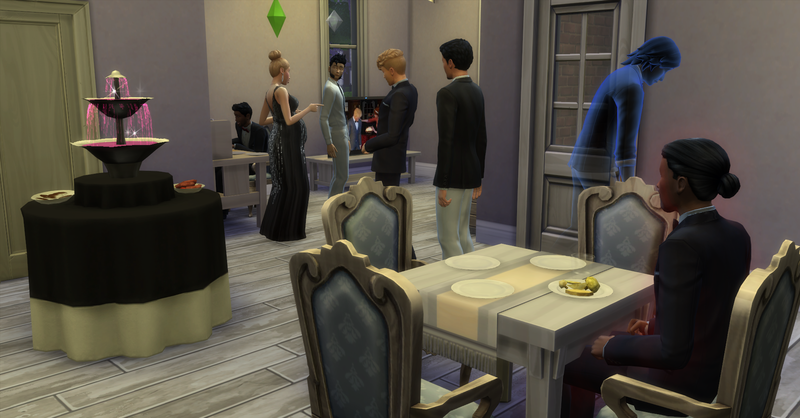 Odette heads over to the Blue Velvet Lounge to check out the fresh meat now that she is married. She cannot stay faithful for very long. She sees Stewart again and they hit it off so well she asks him to be her boyfriend. And they share a passionate kiss. Back at home, Odette is tending the garden when she see this hottie walk by and she has to introduce herself, his name is Leonardo Seitz. They also really hit it off and share a first kiss together. Their relationship is so good that Odette also asks him to be her boyfriend. She seems even more excited about him than Stewart. Brennen gets to feel his baby. 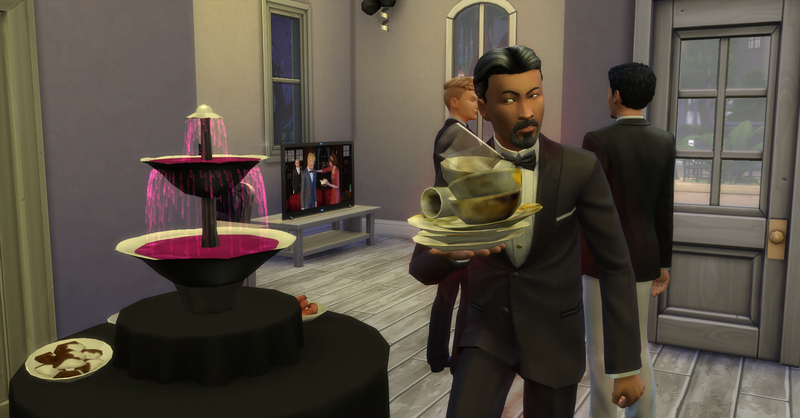 Odette throws a Black and White Party to celebrate her new marriage and show what a good wife she is but Brennen catches her flirting with Stewart and gets very angry! A sad Ulises also makes an appearance at the party. 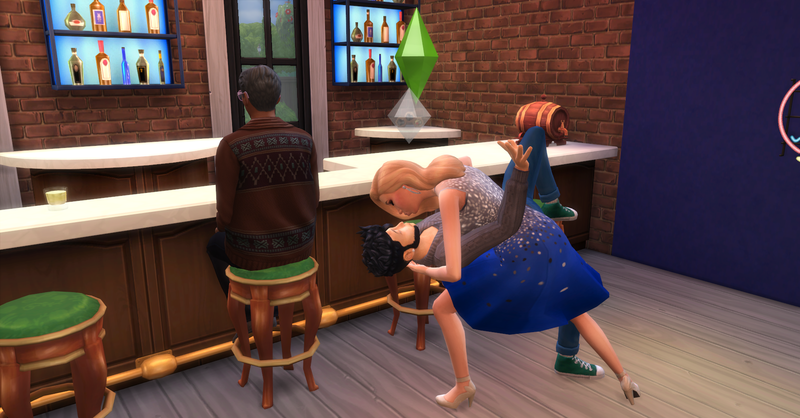 He is angry and forced to clean up after Odette’s young male friends. Ulises visits his son’s room, he is sad that he never got to meet his son before Odette murdered him. Interestingly Odette is able to make Ulises feel better later that night after Brennen when to bed. Odette’s relationship with Stewart is progressing very fast and Brennen catches them doing the dirty in his martial bed and is devastated. That means it is time for Odette to move on from this relationship. She decided that locking them up and waiting for them to die takes to long and she needs to take a more active role in getting rid of them quicker. This time she tried fire! 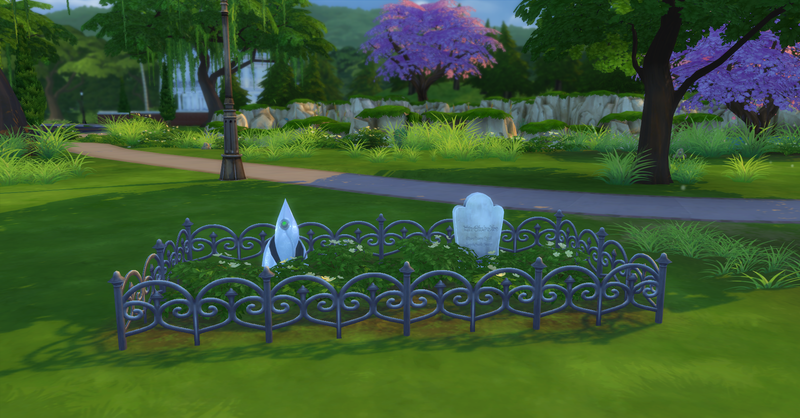 Odette adds Brennen’s head stone (he got a cool alien one) to the plot with Ulises’ grave. Awww poor Brennen. He didn’t stand a chance. Nope, I did kinda like him though. Oh well on to the next target!